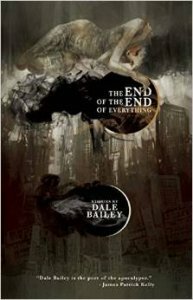 The End of the End of Everything, Dale Bailey (Arche Press 978-1630230074, $16.00, 240pp, hc) April 7, 2015. Much like a moderately more prolific Ted Chiang, Dale Bailey is one of those figures in the field whose every appearance, however distantly spaced, is cause for immediate attention and rejoicing, given the high quality of his writing and the freshness of his ideas and worldview. Since his first sale in 1993, the subsequent two decades have seen three novels and a story collection issued under his byline. Not exactly a Harry Turtledovian rate of production. But please see the opening sentences of this review for why this should not matter. But the year 2015 bids fair to become a Baileyian Climacteric. Not only do we have this second story collection in hand, but his new novel, The Subterranean Season, appears in November from Underland. Huzzah! 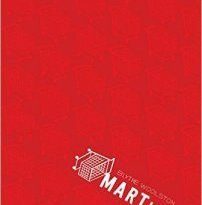 This volume holds nine stories of obvious excellence. Let’s have a look. “The End of the World As We Know It” features a protagonist named Wyndham and an explicit reference to apocalypse by carnivorous plants. The savvy reader immediately apprehends a metatextual edge to the tale. And, indeed, Bailey is out to deconstruct the very notion and tradition of the armageddon narrative. In interstitial paragraphs he surveys both literary and real-life disasters, times when the world seemed about to end, with the clear eye of some observer from outside mere mortal affairs. But Bailey is not content with any kind of semi-arid historical metafiction. Instead, using Wyndham’s life as the only human on Earth, he digs deeply and bravely into the painful skin and bones of how such an existence would actually feel, without any of the clichéd pulp trappings. Needless to say, the result is existentially bracing, like falling off the top of Mount Everest might be. We are in patented Stephen King territory with “The Bluehole,” but Bailey makes the mode his own. It’s the 1980s, an era Bailey evokes with plenty of tight pop-cultural referents that add metaphorical weight to the events. Two teens, Jeremy—our narrator, a hapless but bright and sensitive lad flailing in a dysfunctional family—and Jimmy, the new cool kid, begin to pal around one summer. Emotional dynamics and balances shift and sway, but at the center of everything is the mysterious deadly lake alluded to in the title. The climax finds Jimmy and Jeremy there alone—or is a monster with them; and if present, has the monster surfaced out of its own urges, or because they called it? “The Creature Recants” finds Bailey channeling, to some small degree, Howard Waldrop, with marvelous results fully worthy of the elder role model. We learn that the amphibian monster star of the fabled The Creature from the Black Lagoon was not a man in a rubber suit, but a real sapient being whose life story is being filmed—more or less accurately, given Hollywood’s sleazy predilections. Inhabiting his consciousness, the reader gets a lesson in prejudice, love and artistry—with some droll black laughs as well. 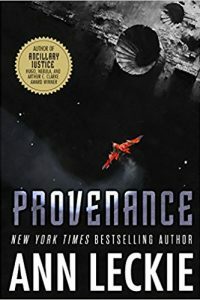 There have always been two schools of time travel fiction. 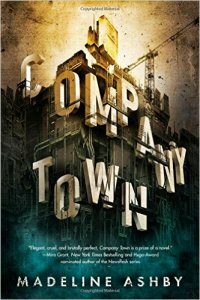 The larger school revels in paradoxes and messing about with history, closer to a kind of adventure fiction. The other school, much smaller, uses the trope to explore the psychology and spirituality of its characters. I’m thinking Silverberg’s Up the Line and Moorcock’s Behold the Man and Aldiss’s Cryptozoic. Bailey mines this latter vein with exquisite delicacy in “Mating Habits of the Late Cretaceous.” A couple on the outs with each other, Peter and Gwyneth, go on a dino-safari to save their marriage, but the events at the resort start to resemble a certain Hemingway tale rather than a second honeymoon. The stark mimetic power of “A Rumor of Angels,” with its dusty, Steinbeckian heat and poverty, climaxes in a totally organic but still unexpected supernatural fashion. Runaway boy Tom Carver finds himself uneasily adopted by the Overton family, whose own son Charlie begins to dote on Tom. But Tom’s destiny seems to take him away from all he loves and those who love him in return. Bailey melds the kind of Warner Brothers pre-code grittiness of those “career girl encounters the sordid details of life” films with the New Weird ambiance of a China Miéville tale in “Eating at the End-of-the-World Café.” The city of Acheron, full of damned souls, hosts our stressed and desperate heroine, Eleanor, a waitress struggling to keep her life together and to care for her sick child. Pushed to the wall, Eleanor eventually visits the infernal pit at the center of the city, where a certain bargain awaits, to be taken or disdained. “Lightning Jack’s Last Ride” reminds me of primo Roger Zelazny crossed with Ellison’s “Along the Scenic Route.” In a crumbling future, gasoline is at a premium and organized gangs go after tankers. 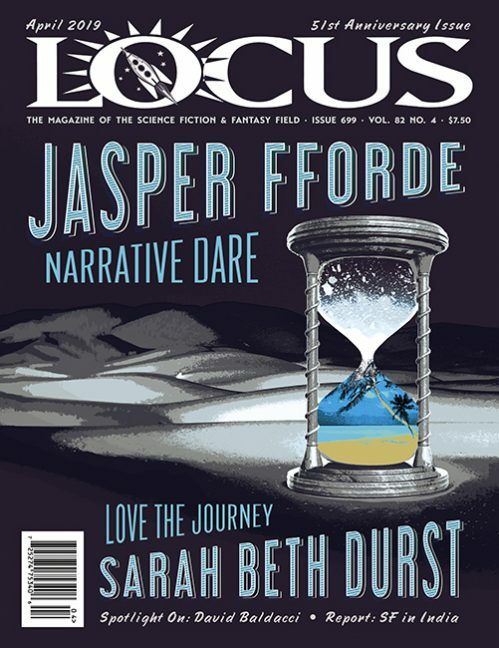 Narrated by Gus, a fellow who is “sidekick” to Lightning Jack (an always productive strategy, the off-center POV), the tale blends action-movie thrills with more intimate matters of the heart. If Kit Reed had collaborated with Steve Aylett, the result might resemble “Troop 9,” Bailey’s account of a Girl Scout squad that goes dingo. Unapologetically presenting the irrationality of the girls as a given, the story plays mercilessly with Tarzan riffs and has resonance with all those tales of angry survivalists eluding authorities in the wilderness. Finally, in a piece that neatly bookends the opener, I detect a masterful homage to J.G. Ballard’s Vermilion Sands in the title story, which takes place in a decadent art community named “Cerulean Cliffs.” A slow entropic fadeout besieges the folks gathered in the resort, causing them to face their true motivations for the first time. Throughout all these fictions, however varied their subject matter or atmosphere, Bailey exhibits his compassion for and comprehension of his characters, his inerrant sense of choosing just the right words, and his determination to make all the matter of fantastika over afresh. Such a book makes one hope that our genre still has a future.